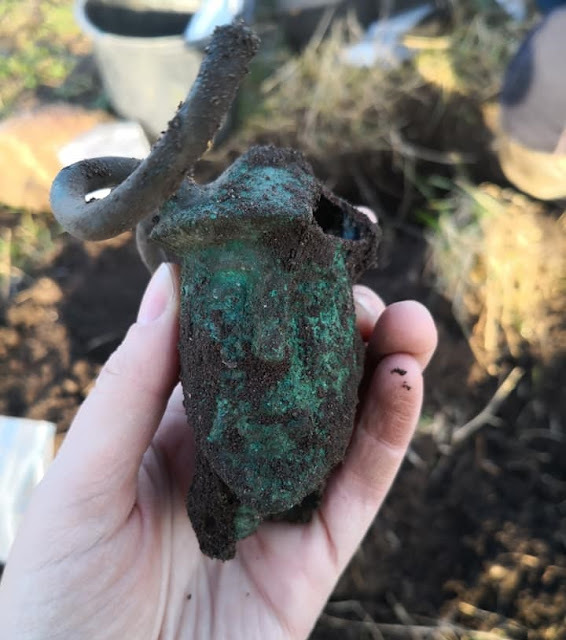 An amazing discovery was made by a metal detectorist during a recent trial excavation in a field near the small village of Kallerup in the Thy district in northwestern Jutland, Denmark. The volunteer metal detector operator, Peter Jensen, has been assisting the Thy museum for many years searching the area for bits and pieces of an allied Short Stirling plane which was shot down by axis forced in late 1943. 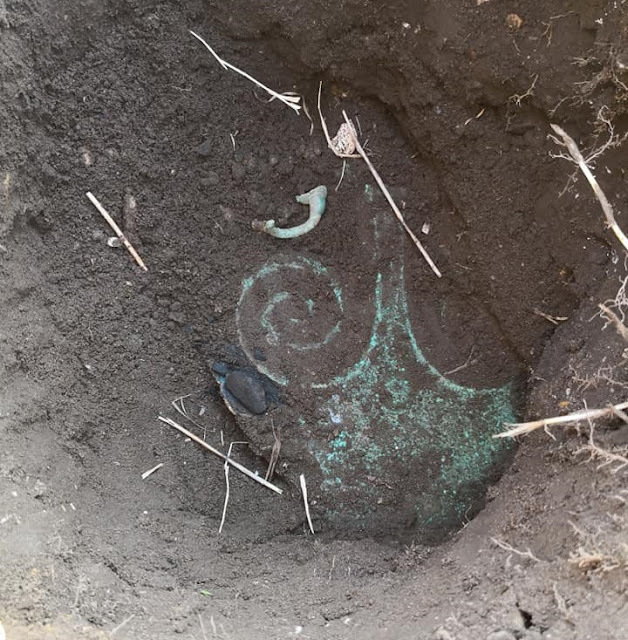 He had already found multiple aluminum bits and some ammunition, so when the metal detector suddenly made him aware of a large concentration of metal in the ground, he was expecting a piece of the old airplane. But when he removed the top portion of the soil he found that it was a large piece of bronze, so he called for the assistance of the archaeologists who were present. 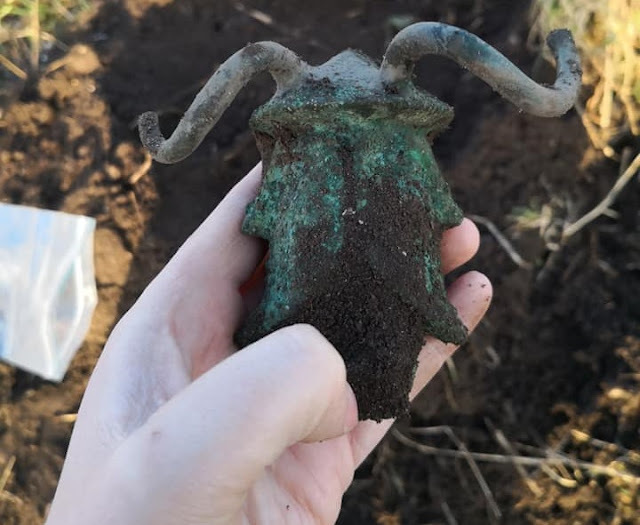 First a two-faced, horned bronze figure, which was likely originally been fitted to a pole or staff, was uncovered. 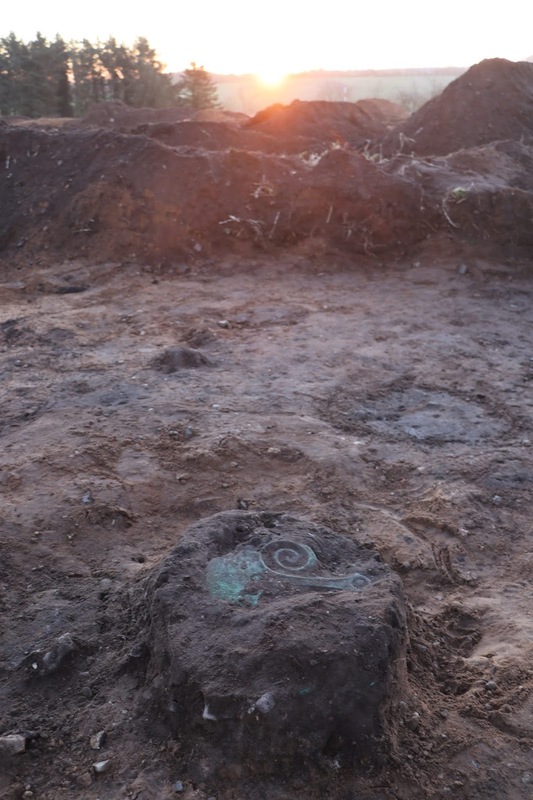 Shortly after a ceremonial axe with a diameter of approximately 30cm was also revealed. Both finds are thought to date from the Nordic Bronze Age (c. 1000 BC). 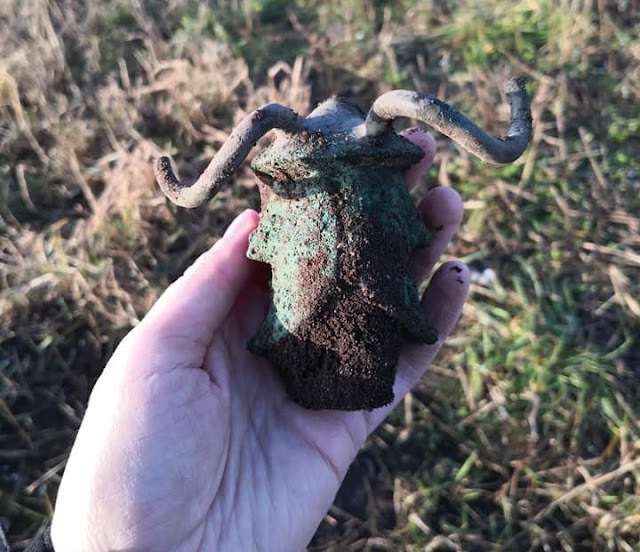 The horned helmet of the two-faced bronze figure is similar in type to other helmets found in Denmark, like the two full-size bronze helmets from Brøns Mose and those on two small bronze figures from Grevensvænge. 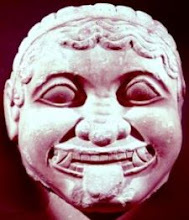 Similar horned helmets are also seen on Swedish petroglyphs, on Iberian rock carvings and on small bronze figures from Sardinia. 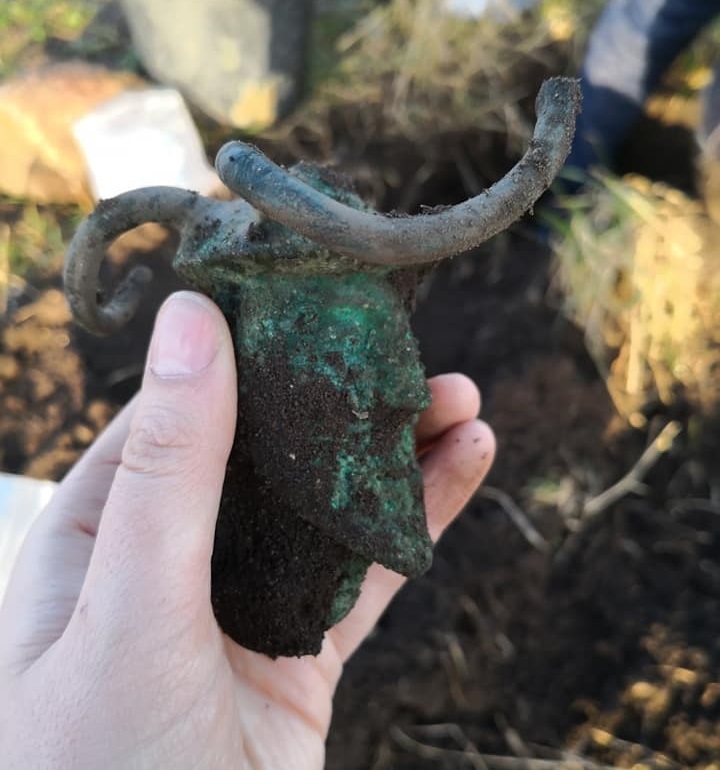 The horned helmets as well as ceremonial axes appear to be frequently paired both as objects and as depictions, and archaeologists consider them as possible depictions of a deity, a twin god. The ceremonial axe is a stunning example of bronze casting of the time. Only a handful of other similar ceremonial axes have been found, but the axe from Kallerup is completely unique in its form. 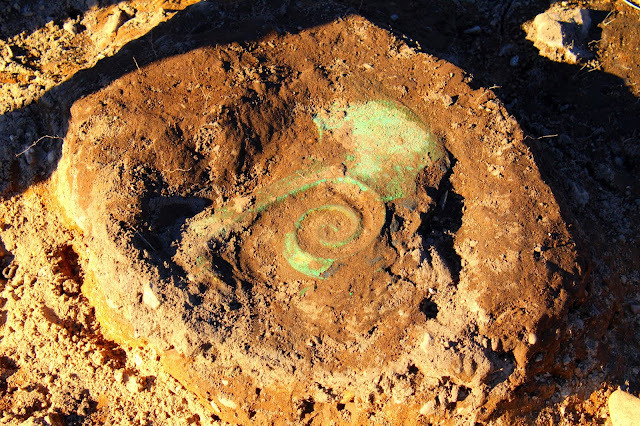 The closest parallels are found on some petroglyphs from Sweden's Kivikgraven site. 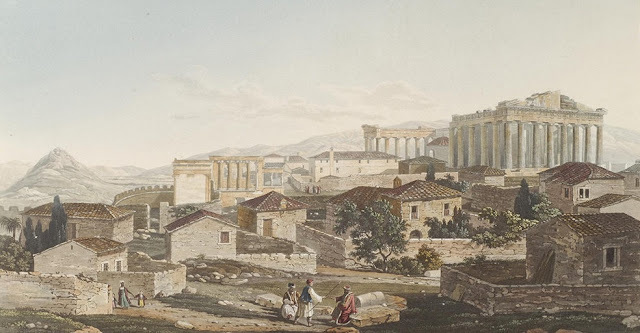 The axe was removed using plaster and a supported lifting method. In the near future the axe and the soil containing it will be CT scanned. 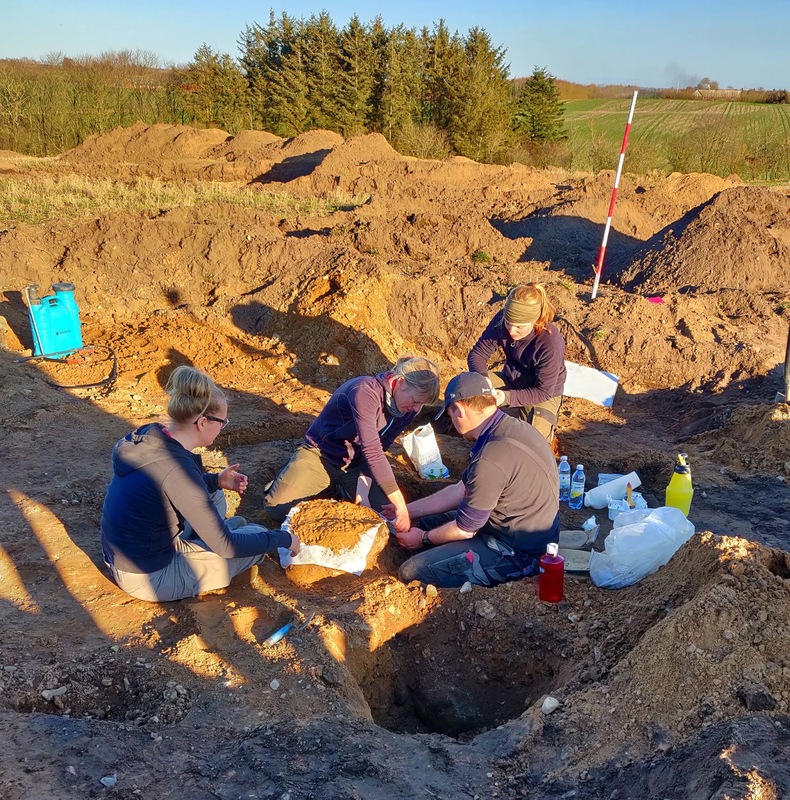 The dating of the finds is so high that 1000 BC is the bronze age.